Come and see the Vosges Mountains! Step by step, get your fill of green energy! 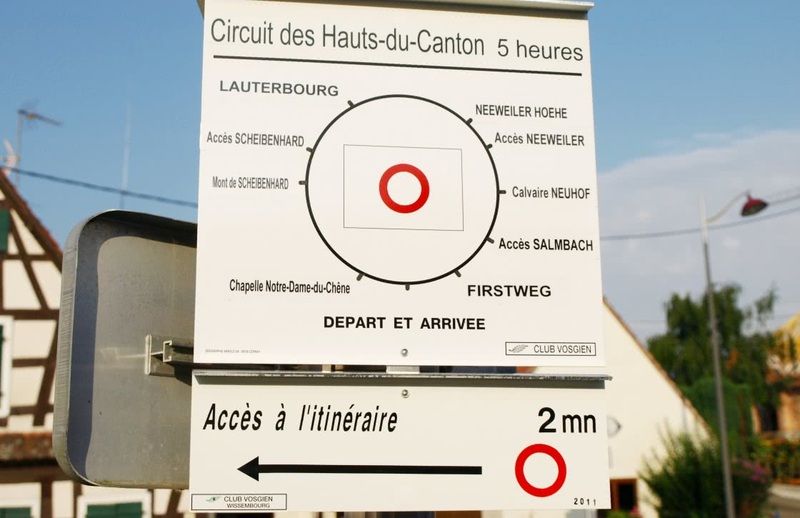 How to get to the Vosges Mountains ? 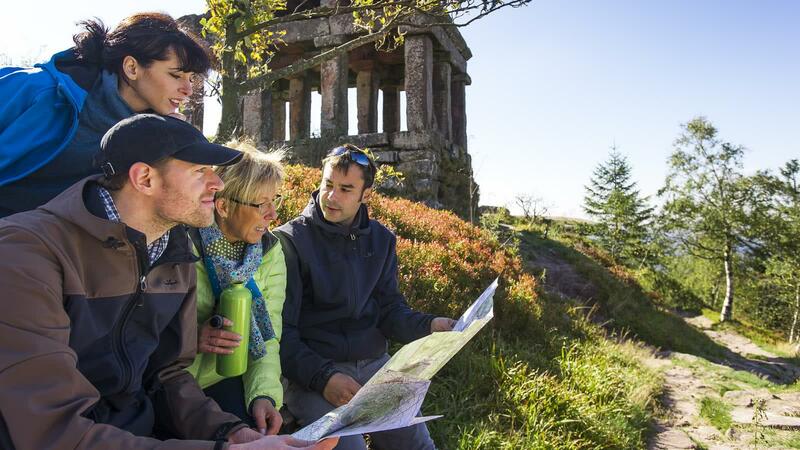 With more than 20,000 km of well-kept waymarked trails, the Vosges Mountains is a fascinating, endless paradise for hikers. 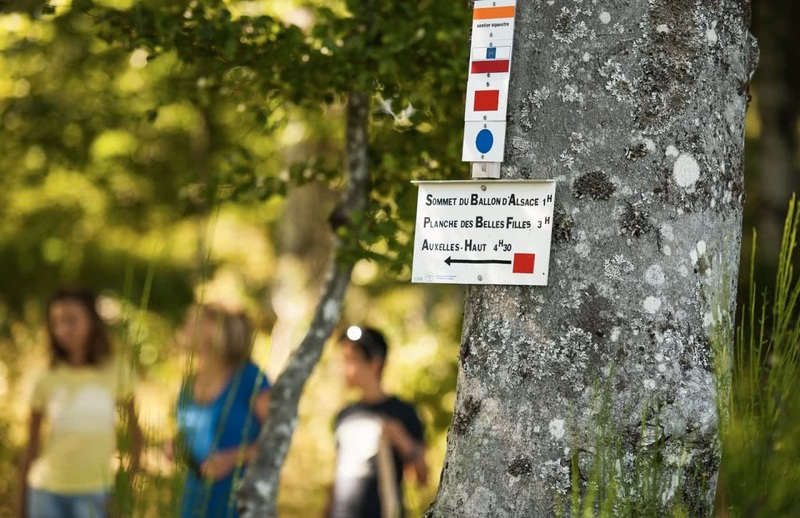 The waymarkers of the Club Vosgien (founded in 1872 in Saverne with more than 34,000 members today) guide hikers through the Vosges Mountains, with the help of IGN maps that indicate the itineraries. The marking system uses different shapes and 4 colours. 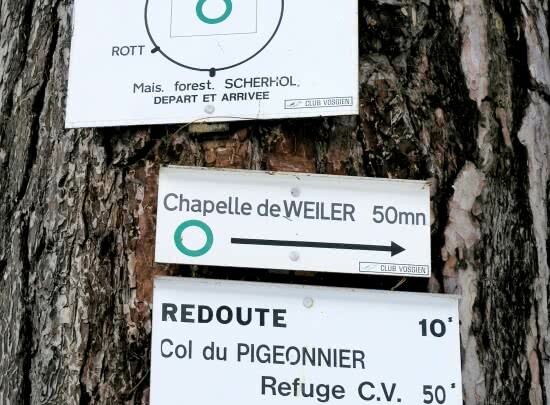 Trails marked with a solid rectangle cross the Vosges from north to south over long itineraries. A red rectangle is used for the GR® 53 – 5 footpath. Departmental, cross-border or local circle trails are marked with a diamond. Length: 1 week or more. Follow rectangles with white bars to access rectangle or diamond trails of the same colour. The disk is used for circle trails of a half-day or more but can also be used for certain in-and-out trails. 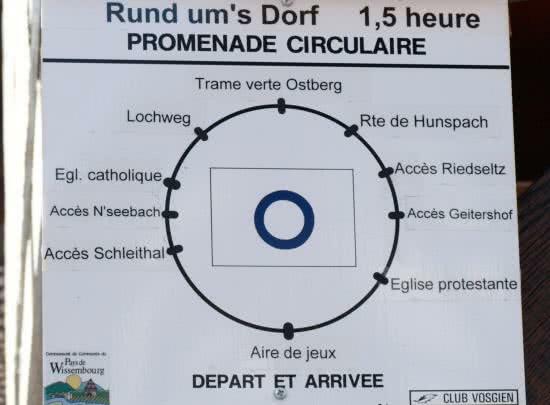 Rings are used for circle trails less than 3-4 hours long (1/2 day). These are used to mark linking trails and small local paths. Directional sign posts, like road signs, are used to inform hikers of the direction of the different stages of a trail, with walking time indicated in hours. The different sites will be mentioned from top to bottom. Found at the trailhead, these signs present details about the itinerary using symbols. They inform the hiker of the name of the trail, its length (in hours and minutes) as well as sites the trail crosses. 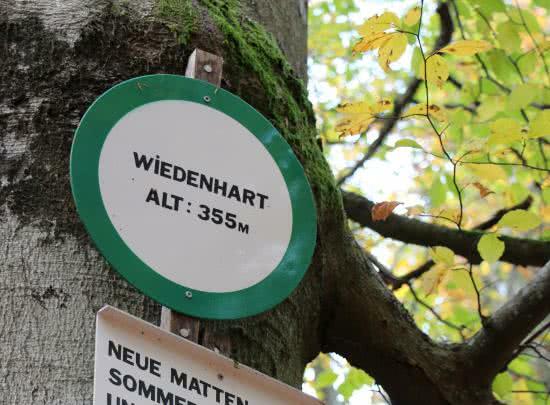 These circular signs with a 25 mm green border inform the hikers of their current location and elevation. A portion of a trail can often be used by several different itineraries that will split off along the hike. Stay alert and use a map to identify these divides and recognise them on the trail. 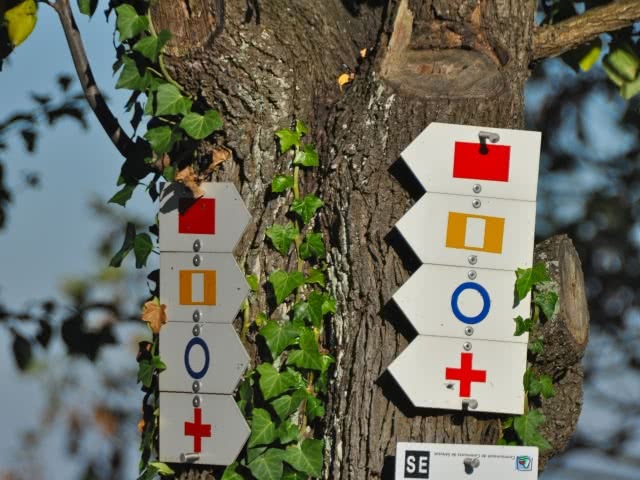 The waymarkers of the Club Vosgien are copyrighted by the INPI. By accepting to receive the e-newsletter Massif des Vosges, you authorize Lorraine Tourisme to collect and use your personal data for marketing and tourism promotion purposes of Destination Massif des Vosges.